Please wear your crazy and Funky Neon Custom!! Mark you calendar for the Halloween Party at Shape Me Roseville on Oct. 31st at 3:30 PM. Let's go Spooky, Shake and have 75 min Zumba® Fun with your favorite Zumba® Instructors! Please wear something that easy for you to move and shake in. 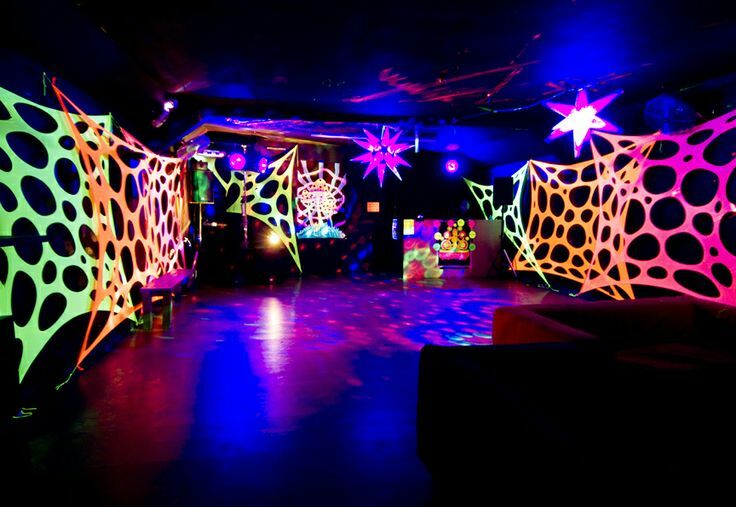 Let's Glow and Shine at the middle at Dance floor!!! Your kids are welcome to join us to dance and wear their costume. It's going to be fun! Fall is here and it's time to get back into shape! Don't wait!! Want to try out Shape Me get a trial!! If you are new to Shape Me Group Fitness print this coupon and bring it in for two (2) free classes. If you could not make the Zumbathon Last Saturday, October 17th watch the video to see what you missed! The next weeks 8-Week Challenge Speaker is Barb Dupay. Barb will be talking about how to think about Yoga Therapy to enhance your workout or to work on some of the lingering and agonizing pains you may be having. Her presentation will be at Roseville at 2:00 PM Saturday the 24th of October! Join this afternoon session and enjoy Barb's presentation. We are having the FREE OPEN HOUSE at Shape Me Studio in Shoreview on October 10th (Saturday) and 11th (Sunday)!! Please Bring all your friends and neighbors to the open house. We will have a Great Unlimited Price for these two days only. If the Weather permits, we will be doing all the demos outside in the parking lot. Please bring your own Mat for Pilate, Yoga, Piyo, Strength & core and Yoga Sculpt!! Classes at Shape Me in Roseville will be canceled for these days only! Roseville members please join us in Shoreview for these sessions! Remember classes on Saturday in Roseville on October 10 will be at Shape me in Shoreview. Lets go visit the Shape Me Shoreview on October 10 & 11. Please come, let's do this and have little fun before the winter. Enjoy the beautiful weather while it last! Let's have fun and we can't wait to see you!!! Come and Bring your Friends! Senior, Beginner Zumba + Yoga and NO dance Experience! This is for anyone who wants to lose weight or tone up!! You are welcome to come and participate in this awesome Group Fitness event. Please come and invite all your friends, We need your support and Zumba love. This mission will see approximately 5000-8000 patients during this week-long mission! Over the past two years the mission along with local partner, Matter More (formally Hope For the City) a non-profit 401C organization that resources corporate surplus, have been making preparation for our trip in January 2016. They are collecting supplies and equipment and providing medical services; it takes great financial resources to make this all happen. The fundraising is needed to pay for shipment of the containers, medicines, medical tests, lab and travel expenses for the patients and their families to allow them to obtain this surgical care. We need help to fulfill our medical mission, Thank you so much for your help! our Medical Mission, Thank you so much for your help! We all inviting you to come to the Health & Wellness/Expo Boutique at the Shape Me Group Fitness Studio in Roseville on November 8th - Sunday from 10am - 4pm. Start your Holiday shopping early, birthday gift and score a unique gifts for everyone on your list! Please come Shape Me members and friends! We need your an extra support and help for your hard working business man and woman from your neighborhood!!! All attendees customers, members, friends, vendors, "yes everyone" will receive 1 entry to our door prize drawing. We will have awesome prizes from our vendors including free classes at Shape Me. 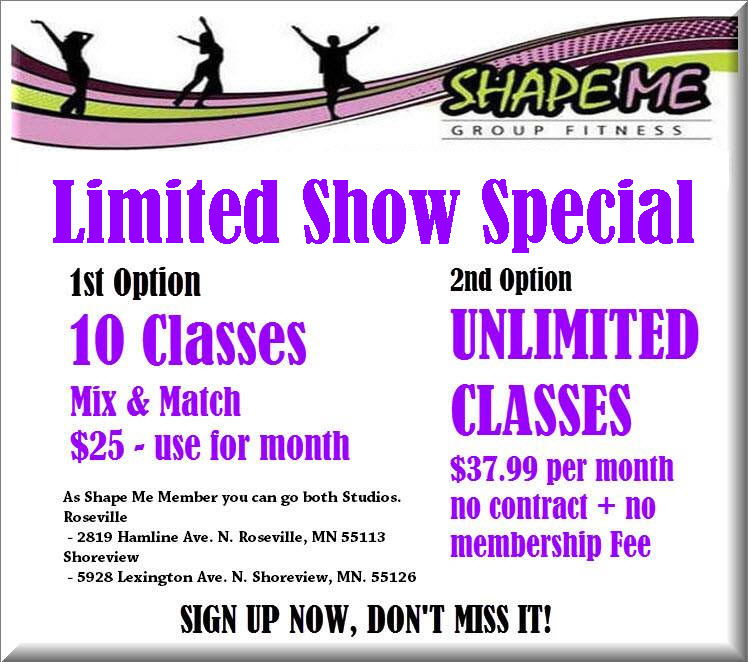 Shape Me Group Fitness is giving away 100 - 2 weeks unlimited classes!!! The first 100 guest that come to the event will have a chance to get their free classes! !